I have recently tried Tongkol fish here in Malaysia. This fish reminds me of Tuna, actually the texture for this fish is very similar to Tuna, as both the fish belongs to the same group. The size is small as compared to big Tuna. This fish curry turned out very flavourful and fresh fish tastes way better than those canned tuna that we get in most of Western countries, plus point is, this fish has lower or no mercury contamination as compared to the larger tuna chunks. Any tuna recipe can be very well replaced by Tongkol. So, the steamed Tongol pieces can be made into delicious croquettes recipes and can also be used in as a filling in sandwiches or rolled up in a roti-wrap. These Togkol fish wraps can be made ahead and stored in fridge. You can replace chicken or other meat from many such recipes and include Tongol fish. The fish is firm and has a lovely texture. 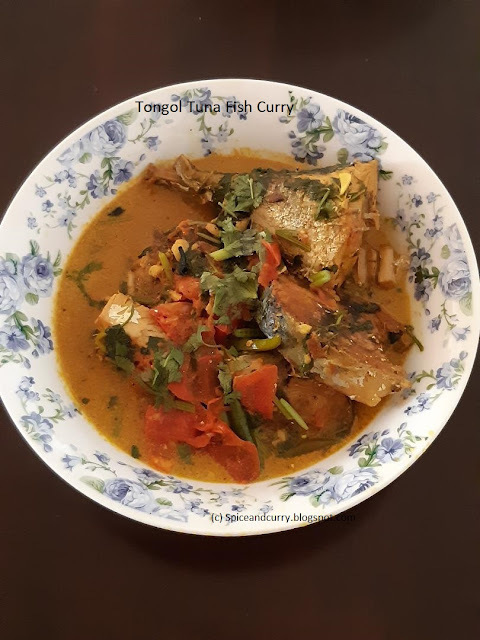 Now to our usual way of making fish, Tongol Fish curry in a Bengali style with garlic and ginger and some spices. Marinate fish pieces in salt and turmeric powder. Heat up a fry pan. Add 3-4 tbs of mustard oil, fry fish pieces for about 3-4 mints each side. Take out in a separate plate. In that fry pan itself, add more mustard oil, add in cumin seeds, green chillies slit in between. Add in grated ginger and garlic. Fry 1-2 mints at med-high flame or till a nice garlicky smell starts coming. 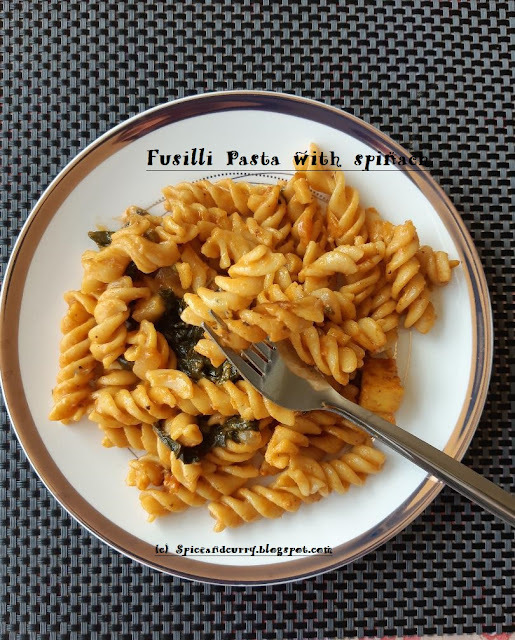 In a small bowl, add in turmeric powder, red pepper powder, coriander powder, cardamom powder, cinnamon powder and salt and give a nice mix with bit of water just to dissolve all the dry ingredients. This masala paste will be required now. Add in chopped tomato now. Fry the tomatoes till oil separates out. Add in half cup of chopped coriander leaves and the masala paste. Keep on frying this masala paste for about 5-7 mints or till the masala gets little bit dry and oil separates out. Now add in fried Tongol tuna fish pieces. Add in 2 cups of water and lower the flame. Let it cook for about 8-10 mints. Add in chopped coriander leaves for garnishing and take out in a serving bowl.